Ms Carolyn Canfield collaborates as an independent citizen-patient internationally with clinicians, patients, managers, researchers and educators to embed the patient voice in improvement processes. Patient expertise can drive creativity and sustain system-scale transformation to meet the aspirations of both clients and practitioners for care excellence. The unexpected death of her husband in 2008 following care failures after successful surgery challenged her to comprehend how skilled and dedicated healthcare workers could fail a patient, and then be terribly harmed themselves by the very system in which they worked. She dedicates her passion to countering burnout and harm across the full spectrum of healthcare. Carolyn was recognized as Canada’s inaugural individual Patient Safety Champion in 2014. 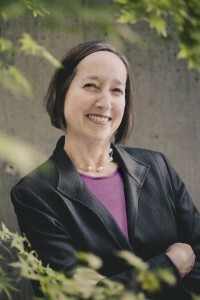 She is an honorary lecturer in the Faculty of Medicine at the University of British Columbia in Vancouver. What topics are of most interest to you and what will you be speaking on at the ASA NSC 2016?. I will talk about involving patients more actively throughout the perioperative experience: in their own surgical planning, preparation and recovery. I’ll offer examples of how partnering with patients can improve outcomes. Connecting up with your patients to learn how surgery fits into their lives not only contributes to better care, but offers fulfillment in professional life. Practice can feel quite isolated from the meaning of care in the lives you help. I believe working more closely with patients, rather then for patients or on patients, can refresh and renew the reasons you aimed for medicine in the first place. Why should your presentation not be missed? When a surgical success turned rapidly to tragedy, I found myself a sudden widow and the only one asking how this could happen. Where was the learning culture that is integral to medicine? How could our skilled and committed perioperative team dissolve into silos and defensive silence? The harm flowing from this unexpected and unexplained death in care ran wide and deep. Needing to find answers to benefit others opened the door to patient safety and health care improvement. My compassion and admiration for healthcare professionals anchors my belief that patient and practitioner collaboration improves outcomes and creates better experiences for those receiving and for those providing care. We actually support each other in excellence. How does attending events like the ASA NSC inform or relate to your current practice? As self-taught and independent, access to the vanguard in practice improvement offers an incomparable opportunity to learn. I am honoured by this invitation to share my ideas with practitioners and researchers of this calibre. What do you think are the most exciting recent developments in the field of Anesthesiology? 2) strengthening inter-professional learning and research experience during medical training to embed career-long enthusiasm for practice improvement. 3) developing patient partnerships to transform medical education, research and care delivery. Balancing the drive for specialization with the necessity of generalism, in training as well as in professional practice. What are you most looking forward to when you visit Melbourne, Australia?? Meeting up with Australian colleagues, making new friends and developing collaborative partnerships.